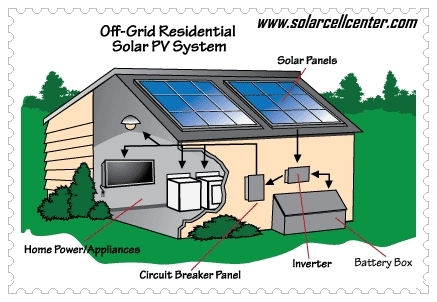 These systems are energy supply solutions that are not connected to the public grid. The PV Solar Panels absorb the solar energy and transit the energy from sun into electricity when they are under good sunshine. Through the MPPT solar charger controller, the electricity power can be stored in the battery bank. When it's day time, electricity can be converted from direct current to alternative current through the inverter for your power appliances. When it's night time, the energy stored in the battery bank can be discharged through the inverter to offer sustainable power supply. If you live somewhere far, up in the mountain, on a ranch or someplace where utility is not available, target solar company off-grid solar system is the answer to your energy need.